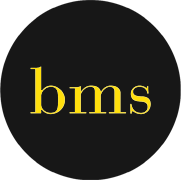 BMS is an independent Insurance Broker specializing in construction insurance and corporate property since 1973. It is recognized for its expertise as a broker and as an insurance advisor. Located in Paris, BMS operates in France and worldwide and will follow you on all kind of projects. What is your insurance broker's role? The insurance broker's mission consists in assisting the client's projects when dealing with insurance companies in order to provide the best level of insurance cover at the best price. A market study is conducted for each client's case. The broker will then keep in touch with his client in order to frequently update his personal file. He will answer all your questions and will share his experience and opinion during the whole contract. All in all when a loss occurs, we are at your disposal to protect your interest. Thanks to a complete technical file and its frequent update and adjustment, BMS is able to propose the most appropriate insurance solutions.